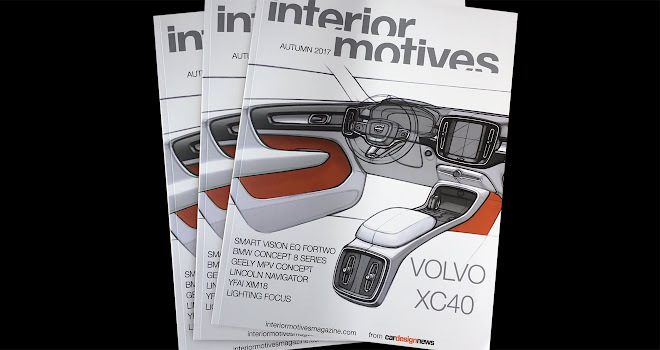 The latest issue of design magazine Interior Motives kept me busy. I wrote a trio of features about the Volvo XC40 production car, the Yanfeng XIM18 concept car, and about recent innovations in lighting. Of the three articles the lighting roundup was the most difficult but also the most interesting to research. As well as automotive lighting experts I talked to designers and innovators in other fields, including the clever people behind Carpetlight, an innovative flexible fabric with embedded LEDs that was originally designed to let professional cinematographers shed light in awkward places. Carpetlight is already finding a host of other uses, from tough portable lamps for military medics to interior lighting for soft-top cars.